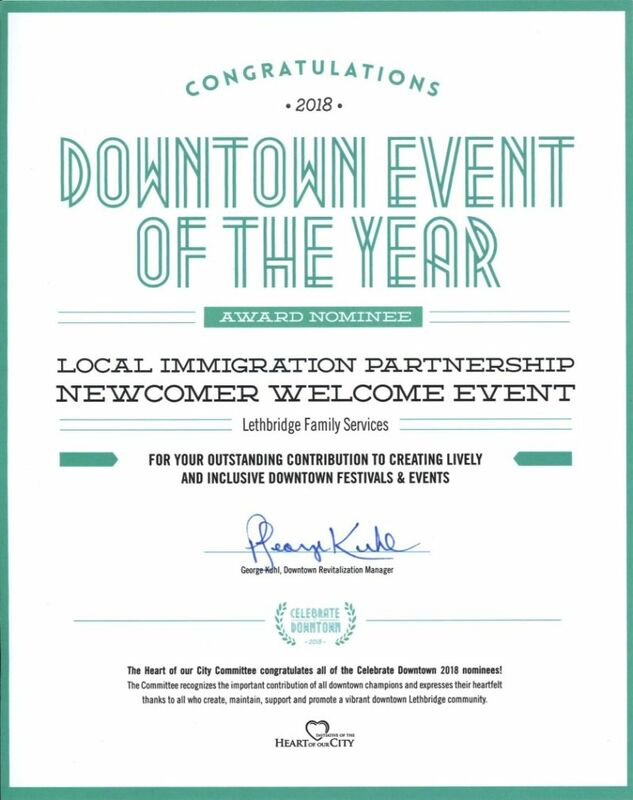 Lethbridge's Local Immigration Partnership's Newcomer Welcome Event has been nominated for Downtown Event of the Year. Even though Lethbridge Local Immigration Partnership did not win, we were honored to be nominated especially since it was an inaugural event. A huge congratulations to Word on the Street who were so deserving of this honor!